We’ve moved 880 gigatons of carbon dioxide into the atmosphere which is heating up the planet and destabilizing our climate. Now, the oceans have absorbed a lot of this excess carbon, which is resulting in ocean acidification and accelerating a mass extinction of sea life. Healthy soil has the miraculous ability to sequester carbon. And it’s not just carbon storage, healthy soil leads to: clean water, nutritious food, drought resistance, and restored habitats. The way we grow our food, fiber and fuel either puts carbon up into our atmosphere or pulls it down into the ground. The regeneration of soil is the task of our generation. 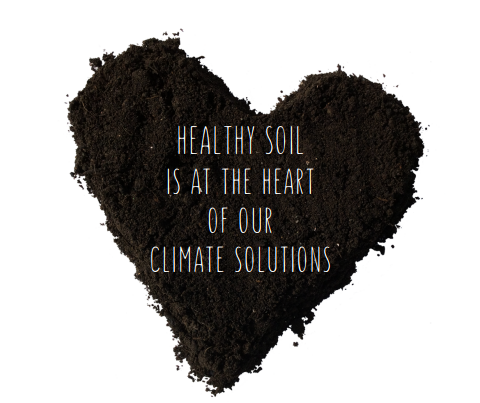 Our health, the health of our soils, and the health of our planet are one and the same. In soil, carbon makes up 50% of soil organic matter (SOM), or humus. SOM is vital to healthy soils. Yet, most modern agricultural operations focus on managing nitrogen, phosphorus and potassium (NPK) and ignore carbon (C). Only half of the original organic matter remains in most modern cultivated soils. 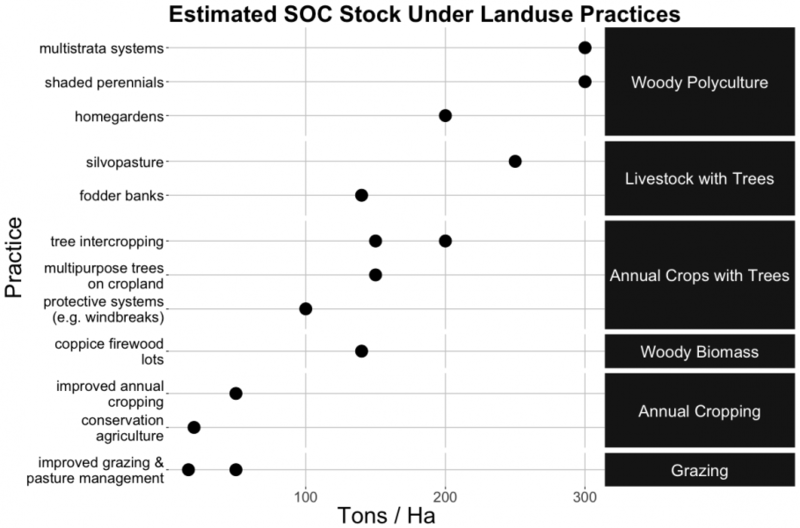 In general, SOM levels have fallen from 5% of the soil to less than 3% on most cropland soils. 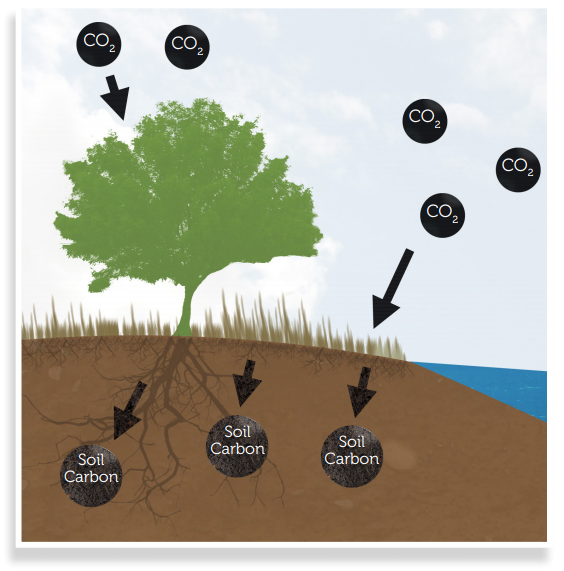 The soil is the largest storehouse of carbon on land. However, an estimated 50% to 70% of the world’s cultivated soils lost their original carbon stock when the soils were exposed to air and the carbon oxidized to become CO2. The research carried out by Eric Toesnmier suggests that moving Agriciculture to tree intercropping can shift significant carbon back into the soil. On our one-acre site there is the potential to sequester in the region of 80 tonnes of Carbon.